What Will Winter Look Like? Excited skiers flock to the slopes, skiing through the woods in fresh powder. Except not. This past year’s winter was rather disappointing. The overly warm weather coupled with rain ensured that snow on the ground was nearly nonexistent. U-32 nordic skiers could see grass through the poor base layer, and ice on the trails. Despite the poor ski season, the high rainfall and erratic temperatures made for exceptional pond skating. As the last winter was quite poor snowfall wise, the nordic ski team had to run and rollerski more than usual. Skiing on campus was limited as the ground was bare and icy. Meets were often relocated to places such as Craftsbury, where they make snow. We felt this warm winter through the spring and summer as well. Last year’s snowpack — a mass of snow on the ground that is compressed and hardened by its own weight— was abnormally low. This contributed to low river levels; damaging aquatic ecosystems throughout the state. It is believed that this past winter’s minimal precipitation was due to El Niño, which refers to the “large-scale ocean-atmosphere climate interaction linked to a periodic warming in sea surface temperatures across the central and east-central Equatorial Pacific” according to the National Oceanic and Atmospheric Administration. This is essentially water in the pacific ocean heating up, making for warmer winters in the Northeast of the United states and Canada. We may know what caused the poor winter last year, but what will this year be like? 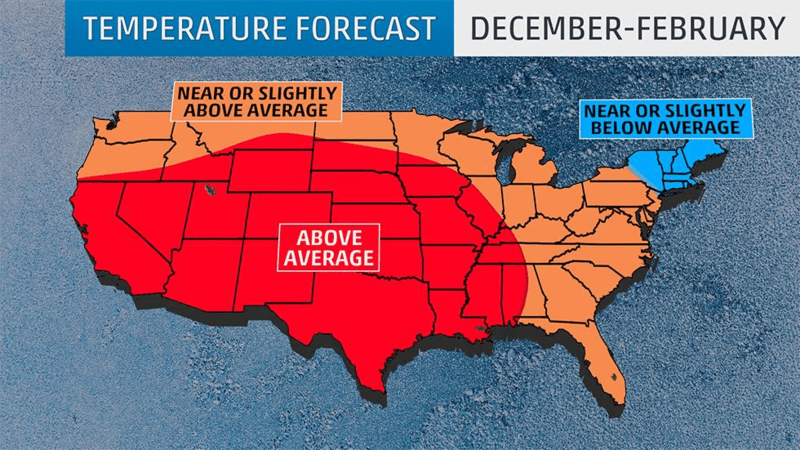 CNN Weather’s senior meteorologist and executive producer Dave Hennen explains, “We’re really good at the day of and the next day, [and] we’re better at temperature a ways out than precipitation. But to forecast out that far in advance … even the science behind our long-range forecasting is sometimes not that solid.” Whether or not the Almanac’s weather predictions have strong scientific data, they have been known to be partially accurate in the past. 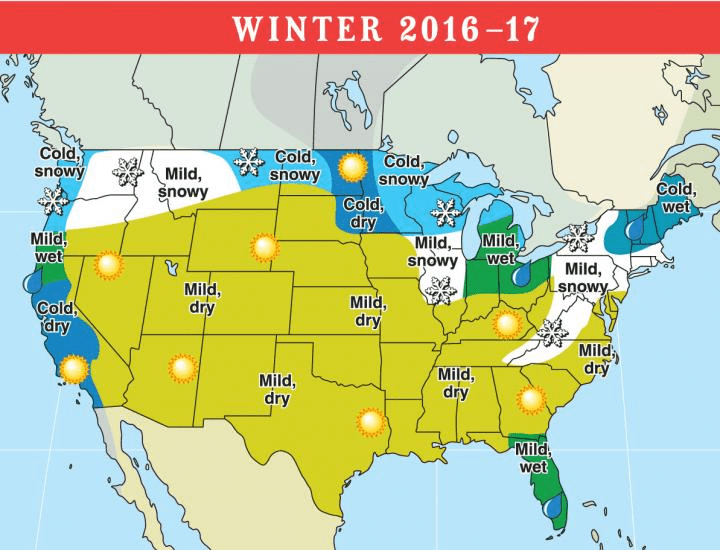 According to Accu Weather, this winter will have a greater amount of snowfall than the past years in New England, while remaining drier in the southern states. 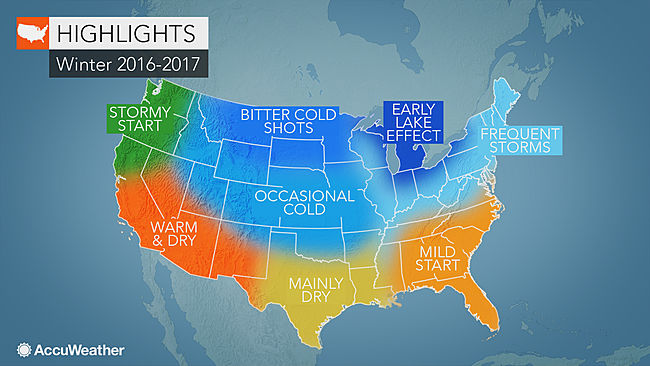 This winter could be much better than last year’s, with potentially more snowfall and consistently colder temperatures. This winter should yield more snow than last year. Water levels should be on the rise as winter conditions become closer to normal.